SAGE affiliates from across the country gathered in Washington, D.C., for their annual conference. 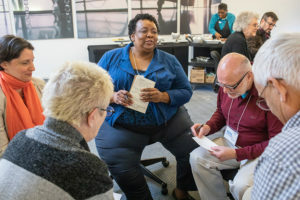 This year’s conference, which was held in March 2019 in conjunction with SAGE’s first National Day of Advocacy, brought together the largest group of people in the U.S. who lead programs tailored to the needs of LGBT older adults. 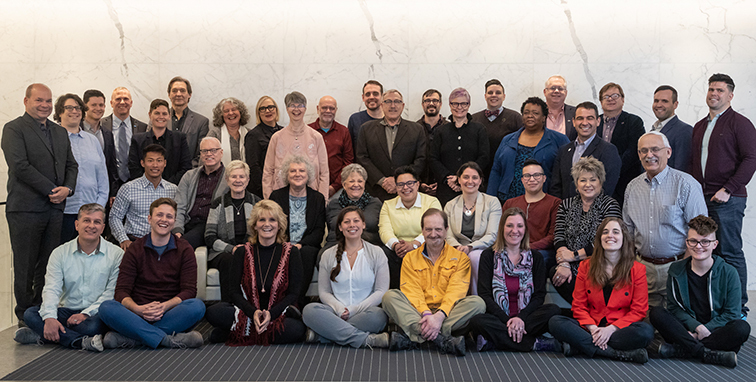 The affiliate leaders, hailing from California to Rhode Island and 21 states in between, engaged in a variety of topics pertaining to LGBT aging. 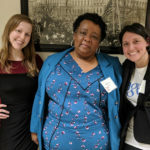 Guest speakers included as Dr. Imani Woody, the founder and CEO of Mary’s House for Older Adults, Harper Jean Tobin of the National Center for Transgender Equality, and Autumn Campbell from the National Association of Area Agencies on Aging (n4a). 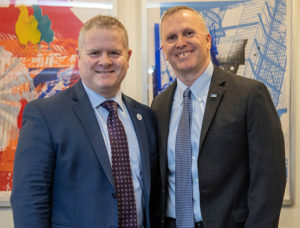 The group was also visited by Lance Robertson, the Assistant Secretary for Aging at the Administration for Community Living, who talked about the possibility that the reauthorization of the Older Americans Act would recognize that LGBT elders and older people living with HIV need improved access to aging services and supports. 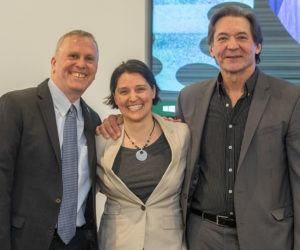 SAGE Metro Detroit’s Executive Director, Angie Perone, received the Ken Dawson LGBT Aging Advocate Award, which was presented by Steve Dawson, Ken Dawson’s brother, and SAGE CEO Michael Adams. The Ken Dawson LGBT Aging Advocate Award is presented each year to a SAGE affiliate leader who exemplifies the outstanding leadership and vision that Ken provided to SAGE during the organization’s formative years. Perone is a is an attorney and researcher who, prior to joining SAGE, served as a staff attorney at the National Center for Lesbian Rights, where she oversaw its LGBT Elder Law Program and helped start one of the first transgender-specific elder law clinics. She currently serves on Michigan State’s Advisory Council on Aging and is pursuing a PhD in social work and sociology at the University of Michigan. Leaders from SAGE Alaska, SAGE Maine, and SAGE of PROMO Fund (St. Louis) participated in a focus group geared toward sharing the challenges and opportunities of working with and for LGBT older people in rural areas. Emerging topics included being “out” in non-urban settings, training rural assisted living and hospitals in culturally competent care, and building and maintaining social networks. SAGE Metro Detroit’s Pat Baldwin speaks with other affiliate leaders during a small group breakout session. Find a SAGE affiliate near you or fill out our form for more information about starting a SAGE affiliate in your state.